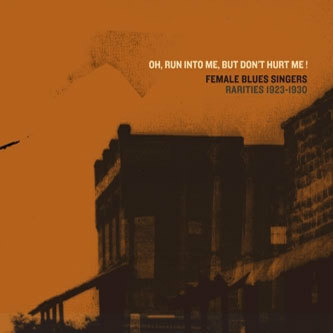 This compilation bills itself as portal of rediscovery for a number of female blues singers who never quite made it into the history books. There's quite a romantic central idea behind this album: that otherwise anonymous, all-but unheard records should be celebrated simply because of their age and obscurity. Of course this begs the question: what if they're obscure for a reason? It's not for a lack of quality that this music has been buried under the sands of time however: censorship is billed as the principal reason for this music falling by the wayside. Much of this music was considered too crude or challenging to social values for its time, and sure enough, in the '20s it's hard to imagine there being much acceptance for songs like 'Virginia Liston's 'I'm Gonna Get Me A Man, That's All' and Lucille Bogan's 'Pot Hound Blues', or even such cuckold anthems as Martha Copeland's 'Stole My Man Blues' and 'Somebody's Been Lovin' My Babe' by Monette Moore. By no means does this album make claims to be a definitive account of anything, but the songs assembled here make for utterly compulsive listening from start to finish, and the precious few shards of biographical information on the artists involved help paint a vivid picture of an alternate history of the blues in the first half of the twentieth century. Wonderful.